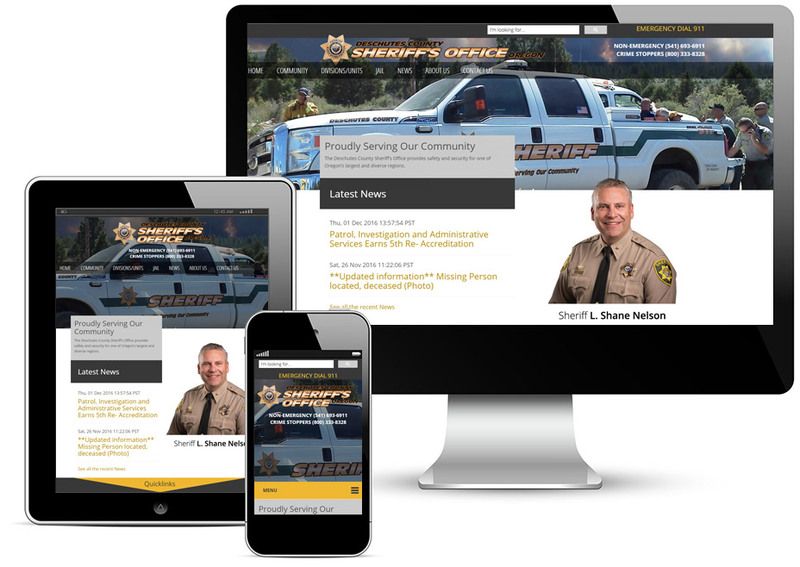 The primary goal for new Deschutes Sheriff website was focused on bringing the community together by sharing information quickly, incorporating social media and other 3rd party sources. 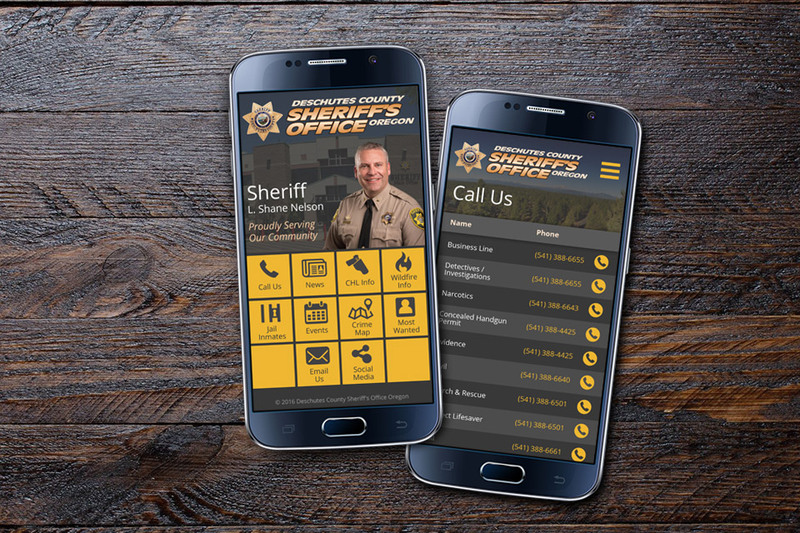 In addition, to keep up with the mobile world, the site is also fully responsive to any device and organized so the most important pages and information is listed front and center with quick links. The most commonly requested items are featured prominently on the home page with eye catching graphics. 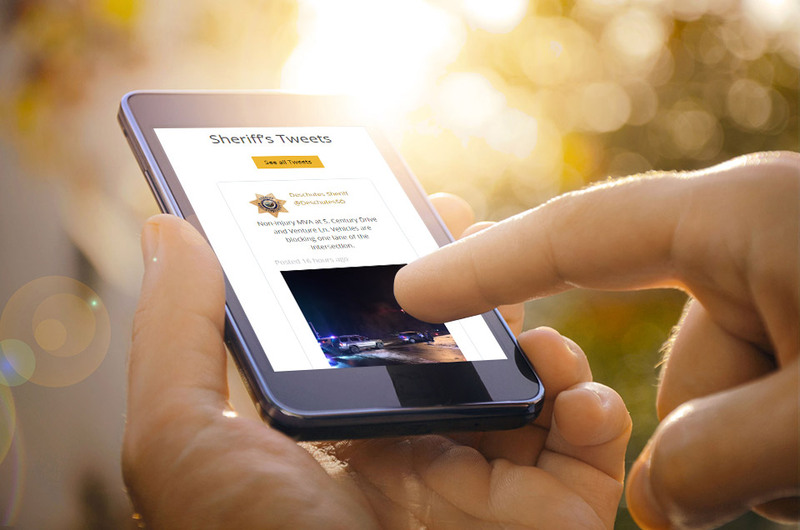 The new mobile app makes takes the quick links to a new level and makes it even easier for the community to get quick information, be it a wildfire or crime report. 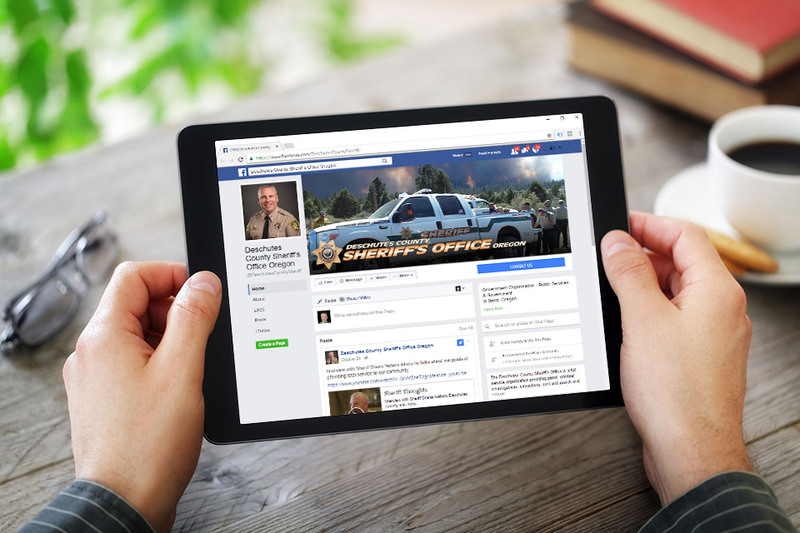 Their revised Facebook page invites community dialogue and provides news updates to a growing audience.